Xiaomi is unveiling its new Pocophone F1 in leading markets and Pakistani market is one of them in which this new phone is coming too. So sit tight and keep your eye on the horizon because Xiaomi Pocophone F1 is the phone of your dreams which has packed some amazing specifications with addition of some new technology which is only limited to few phones. Xiaomi’s Pocophone F1 coming with liquid cooling system which is going to keep it cool while running applications and games. Coolant will flow through the pipes of Pocophone F1 by Xiaomi which will keep the temperature down and your processor will deliver an optimum performance. 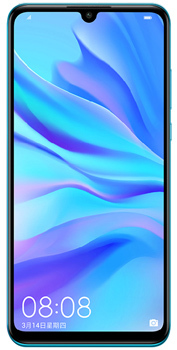 Amazing thing about this phone is this that this phone named Xiaomi F1 is getting the Qualcomm Snapdragon 845 chipset which is used in only few devices like Samsung Galaxy Note 9 from the home Samsung and now this new phone Xiaomi Pocophone’s F1 is also tipped to come with the same chipset used in the next generation of the smartphones. Artificial Intelligence is most demanding feature in the smartphone world and Pocophone F1’s cam is armed with this new technology which is consist dual lenses. 12 MP lens got the solid support of 5 MP lens while on the front side of Xiaomi Pocophone F1 20 MP camera is installed which has many jobs to do and one of those jobs is to secure your phone with its face unlock technology. Not only that selfies taken with Xiaomi Pocophone F1’s front cam are mind blowing and sharp from each and every angle. 4000 mAh battery is powered with the Qualcomm’s Quick Charge tech 3.0 which shows that your phone battery will get the enough juice for one in just few minutes. Disclaimer. 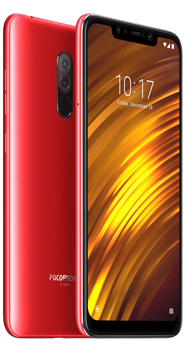 Xiaomi Pocophone F1 price in Pakistan is updated daily from the price list provided by local shops and dealers but we can not guarantee that the information / price / Xiaomi Pocophone F1 Prices on this page is 100% correct (Human error is possible), always visit your local shop for exact cell phone cost & rate. Xiaomi Pocophone F1 price Pakistan. The latest price of Xiaomi Pocophone F1 in Pakistan was updated from the list provided by Samsung's official dealers and warranty providers. The best price of Xiaomi Pocophone F1 is Rs. 49,999 in Pakistan in official warranty ( without discount ), while the without warranty Grey market cost of Xiaomi Pocophone F1 is N/A. The price stated above is valid all over Pakistan including Karachi, Lahore, Islamabad, Peshawar, Quetta and Muzaffarabad. Slight deviations are expected, always visit your local shop to verify Xiaomi Pocophone F1 specs and for exact local prices.